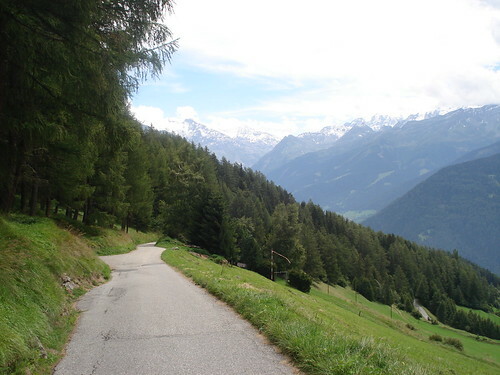 South-East of Lake Geneva, Martigny is the start of several great climbs including Col du Grand St Bernard. Today’s quick loop sampled three lessor know but superb Cols in the area. Starting just short of Verbier, the Col des Planches is a steep, quiet, well surfaced road that gives ever better views of the valley below. Between Col des Planches and the other two Cols part of the tiny ridge road is good quality but NOT tarmac – it’s a dirt road with a bit of gravel. I gingerly rode this stretch but encountered no problems. It’s a fantastic ridge road with terrific views BUT probably a hybrid or Mountain Bike would be better. thanks for this information. My GPS said only “unpaved road”. I am planning my traditionnel autumn-ride over several cols perhaps around the Wallis. I am reading very often in your blog. I wish you a lot of pleasant kilometers and climbs. thanks for your message. 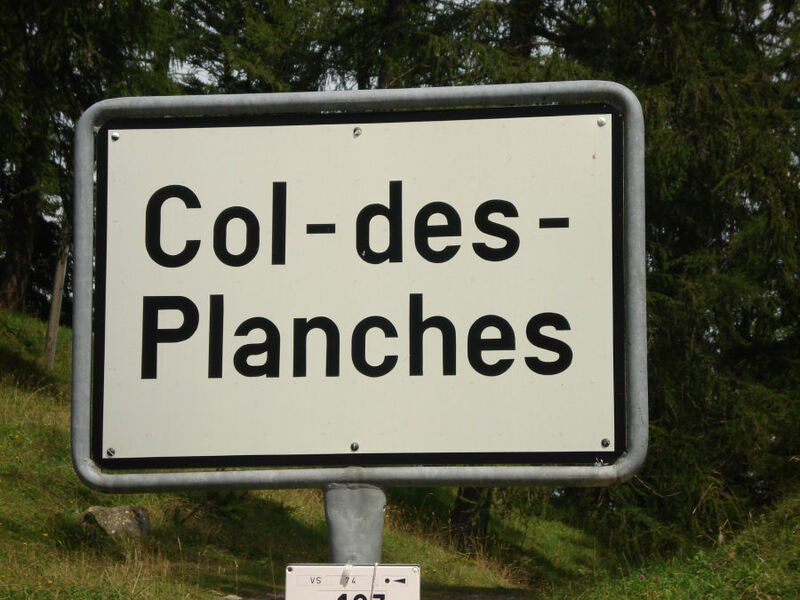 I’d love to hear what Cols you are planning in Wallis (Valais in French). As I see, you are always so active. Even during the winter, a mild winter, but is it so mild at altitude ? Col du Tronc, Col des Planches et Pas du Lein are probably very interesting to climb, quiet and without car. 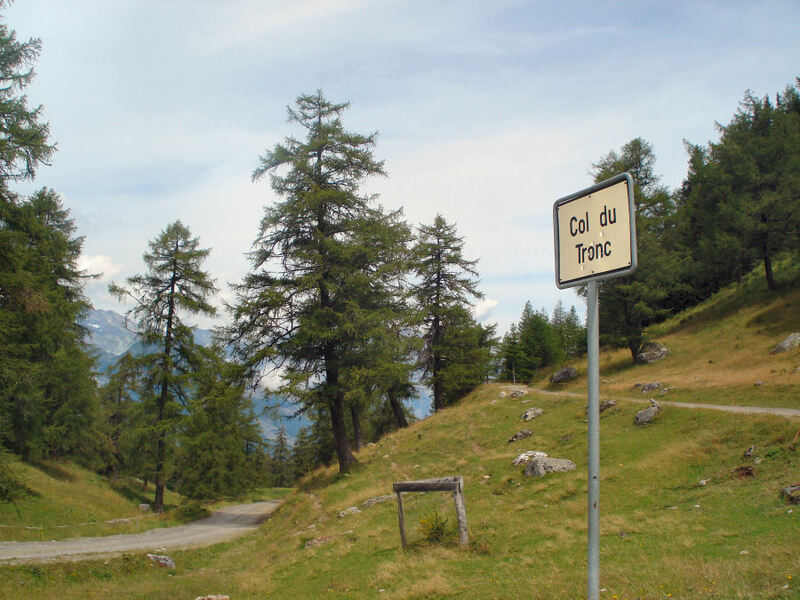 – Do you know the Col de Chaude (from Villeneuve near Montreux) ? I think it’s a great climb, very quiet too, obviously. -Is it possible to start from Yvorne as far as Ayerne and Lac de l’Hongrin, to run longside this lake (is it forbidden ?) and to reach the road of Col des Mosses ? For Bast : I can help you out with your last 2 questions. *I passed Col de Chaude earlier this week. It is a beautiful road and very quiet indeed, definitely this time of the year. You can ride up there from Villeneuve (quite steep), but I did come from the other side after having passed the Lac de l’Hongrin. It is basically a hiking path steep up from 1150m to the col at 1624m and no joke with all the snow that was still around. At the start there was a sign saying that it takes 1h45 to the top and that is about the time it took me pushing, pulling up the bike through the snow. My feet where completely soaked and I started to worry about potentially very cold feet. Eventually that did not happen as I was sweating it out trying to work my way up. The top part of the road going down to Villeneuve was still snow covered and even way further down there were big amounts of debris on the road. I could only blast down once I had reached around 1000m altitude. 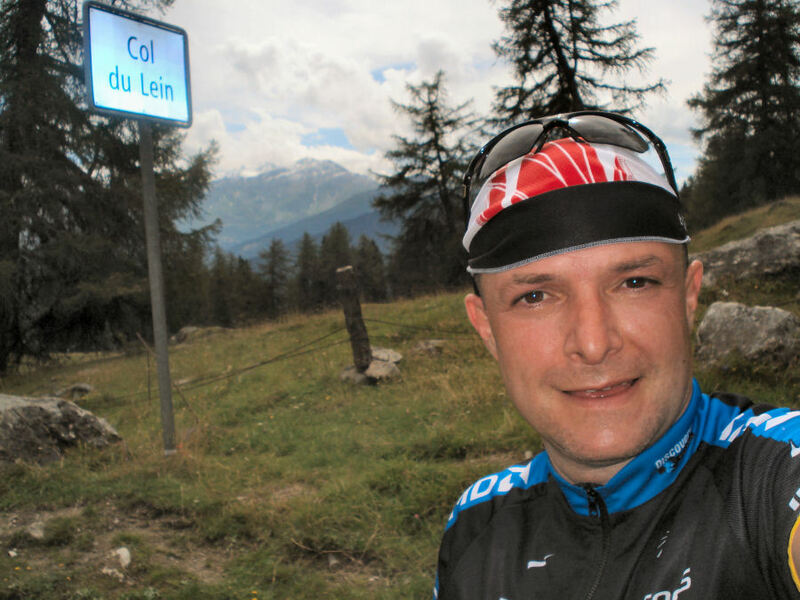 *I went up from Aigle to Col des Mosses and down to Lecherette. There you can leave the main road and head towards the Lac de l’Hongrin. I have only taken the north side around the lake. The south is as per my info and as indicated on a road sign not open for the public. It is basically a military terrain and they do use bigger than simple bullets there. I have heard the explosions on an earlier trip I did down there. But it should be possible to go up over Yvorne/Corbeyrier/Ayerne (even by car up to Ayerne). But I have read that some parts (tunnel) are not always open (something like only the first 15min of every hour/trafic alterné). At the lake this road links up with the road passing on the northern side around where the double dam is. So this way you can reach the main road in Lecherette and ride up to the Col des Mosses. Any more questions, Will can give you my email address. I thank you for this answer, very complete. On my Atlas, the road by the northern side of the lake is written as a path on a little part. So I thought maybe it’s not possible to ride the north and there is only the southern side that is possible with a bike. I would like to go there 2 days (maybe this year, not sure) to climb Col de Jaman and Col de Chaude-Col des Mosses. Not far I think you (and Will 🙂 ) should try to climb by Lavey Les Bains as far as Rionda. That road is unbelievable ! You are right that the northern road along the lake must be less than for cars, but from what I have read it must be ridable by bike (maybe not with a race bike). As far as I know that stretch is pretty flat, unlike the climb to Col de Chaude from the back, which is pure hiking up (if you have a full suspension bike and are a technically strong rider, I’m sure you can come down that side of Col de Chaude once the snow is gone). The other side of the lake through the shooting range seems to be closed to the public and honestly, I feel no desire to try it out as I have heard the bomb shells explode in the past. The Rionda looks like a very challenging ride indeed. Will, when do we go??? Sorry for my blasphemy but I “drove” up Col des Planches in July because it was under construction and was quite unsafe for a bike. I must say it does go on for a while the climb with some good switchbacks on the descent to Sembrancher. The majority of the col was paved so I think it has changed since the last time you went up Will, unless im mistaken.